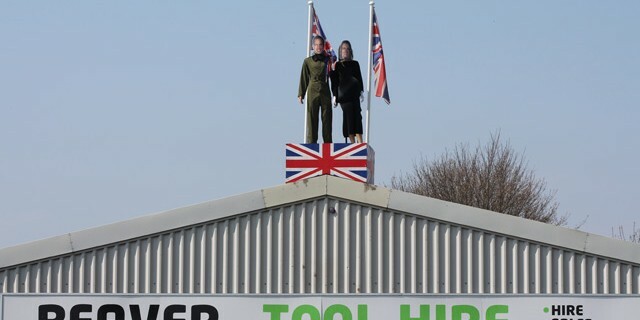 Regular commuters on the A27 Chichester by-pass know that you can often see a fun display on our main roof (Editor’s note: Perhaps that’s why there’s so much traffic?). Previous guests have included The Queen, Doctor Who and Michael Jackson. Most recently Wills & Kate (plus bump) dropped in to give Beaver the Royal seal of approval.